Club Penguin Cheats by Mimo777 Club Penguin Cheats by Mimo777: Club Penguin Fair News! The Fair is coming Sept. 3rd-12th! And they need our help to unpacking the decorations! Rockhopper will even be bringing the last minute decorations on Sept. 3rd! Woot! Beginning tomorrow, you will be able to save your igloo in your inventory! Woo hoo! I never could understand why you would loose an igloo after you paid for it, but now that will change! You can even have a new igloo everyday! Wha? Fairy Fable is returning to the Stage Sept. 17th! Squidzoid VS. Shadow Guy and Gamma Girl begins at the Stage today. Isn't Sept. 17th a bit too soon to bring a new play to the Stage? Weird! I'm so pumped for the Fair! What are you most looking forward to? Woohooo! I love the fair, its the best party ever! My favourite game is the one where you bounce the puffles, puffle paddle, or whatever. I hope we get lots of free items, or at least one new one. NOT AGAIN!!! :"( so boring..they always return plays now..Fairy Fables..Squidzoid..and if you remember b4 this play we had the Underwater adventure..and b4 that we had the golden puffle!!! WHA? I love the fall fair! It's one of the best parties. I love Puffle Paddle! Also, I hope they have new prizes. What about "Space Adventure" and "Red VS. Blue" at the stage?! And I'm gonna have to say that they should return the hoodies because every player should have one! i cant wait for the fall fair! I just looked at the events. There was absoulutely nothing new for this week! Just September! In an interview with Lane Merrifield, he said there is always something new every week. A party, a pin, catalogs, etc. can i be a author on site please!! 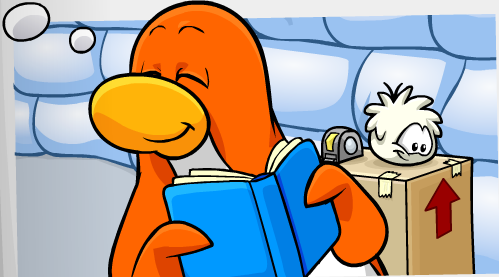 i know cool club penguin secrets and info that no1 else does! Don't worry, i feel the same about the plays to. But one day they will change! I love puffle paddle too! If your really good at it, you can get alot of tickets! I remember my first fair... it was epic! You going to love it! Tickets, games, prizes, and cool rooms! It's the best! i have Black, Pink, Purple, Blue and red! Hopefully they will change. I loved the Dodgeball one. It seems like they always bring back the same play every month to me. But i do like gamma girl and shadow guy! Bringing hoodies back would be nice. A yellow one would be the really awesome! I have all of them, but i understand how you feel about wanting them. Mimo, look at the HQ screen now. Lots of channels - like the TV channels on the TVs in our iggys. Wait on the screen where the 2 penguins talk. A message saying "This conversation would probably be a lot more interesting with sound ... huh"? 1. Do we get all of the igloos we had in the past or are we going to have to buy all new ones just to save them? 2. Do we keep the floors saved as well? 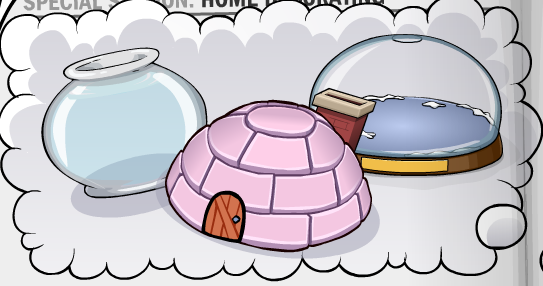 Can non-members get back their igloos if they were a member? I remember the First Fall Fair Celebrations, and now, it's the fourth time, wow! Can't wait for new prizes, what about you? i could give you a guide but ill let you have fun and not spoil it but heres a hint tickets!lots of them! This week, there's a new (Did I say 'new'?) play and new pin! Next week, Fall Fair starts & New Penguin Style catalog will be out! I want the new catalog to come, I hope they bring back the red and blue hoodies! Ya it's called puffle paddle. also the hoodies in the catalogue are cool cuz i always wear hoodies so its totally my style, this fair is gonna be totally awesome!!! Now seriously you do have a point there but if they bring back a rare item and everyone gets it, it kinda stinks for all the old people who got the originals. It turns the value down. They usually bring back a few items and have a few new items. Also I think that last year they brought an item or two back but they were a little different like as in a color. Sorry to tell you this but Mimo doesn't let anyone work for his website unless he personally knows you. A lot of his family members work with him. But here is what you can do. You can right a comment telling Mimo your CP secret and if he makes a post about it, he will give you credit for the find at the end of the post. I really don't think so. Maybe if you were a member and bought an igloo, then stopped being a member, then came back into being a member you might be able to get your igloos back. First off Mimo doesn't comment. I have only seen one comment by him for his decoding Mimo page. Secondly, the closest you can get to being an author is commenting. If you tell Mimo something that he didn't already know and he decides to make a post about it, he will give you credit for the find. --Ethanator (CPG Mod) I think thats the first time I have done that signature in a LONG time. wow! i remember last year and the fair was AWESOME! and now that u can save your igloos.... its fianlly about time u can save them and not buy them again! I don't know if I should believe you because you missed out the orange hoodie and the green hoodie! The orange hoodie was from the Festival of Flight penguin style last year and the green hoodie was out a few months ago! I only need the purple hoodie and the blue hoodie! It doesn't really stink because rare penguins can proove how rare they are by wearing something even older! Wow, I kept my ship igloo and it will so pay off! I Quit cp. it's become too member inclined. oh! and mimo! You should have a xat chat room! it would be packed on the first day and your fan could ask questions easily and get answers! i hope you keep this in mind. I have always wanted the feature how you can save your igloo. This is going to be fun!! And this will be my third fall fair! It looks like you can get cotton candy and candy apples! I want those so bad this is gonna be saweet! Well anyways the fair sounds great!